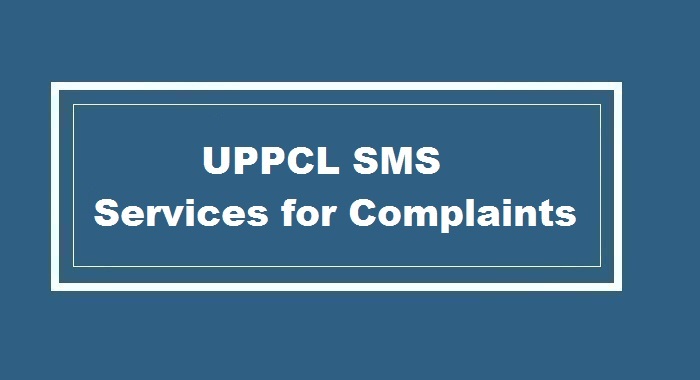 Home / India / Govt Documents / How to Register Online FIR in UP (Uttar Pradesh) ? 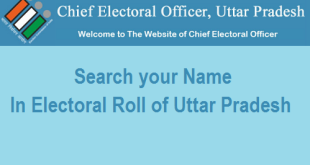 How to Register Online FIR in UP (Uttar Pradesh) ? 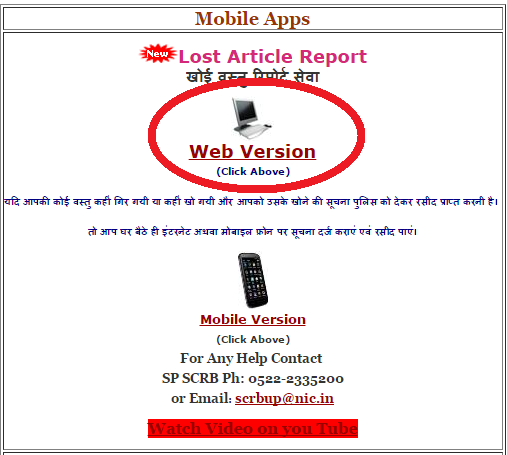 Step 1 : Click on the link to Visit the UP Police Lost Article Report Page and Click on Web Version. Alternately, click on the link below. 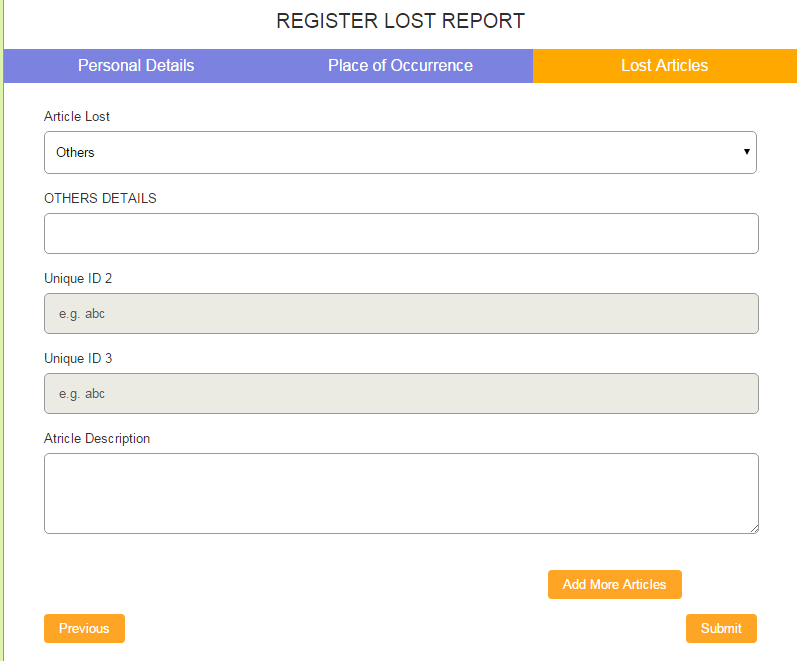 Click on Submit to Submit the Lost Article Report. As soon as you click on Submit, You will receive an OTP(One Time Password) on your registerted Mobile Number and Email Address. 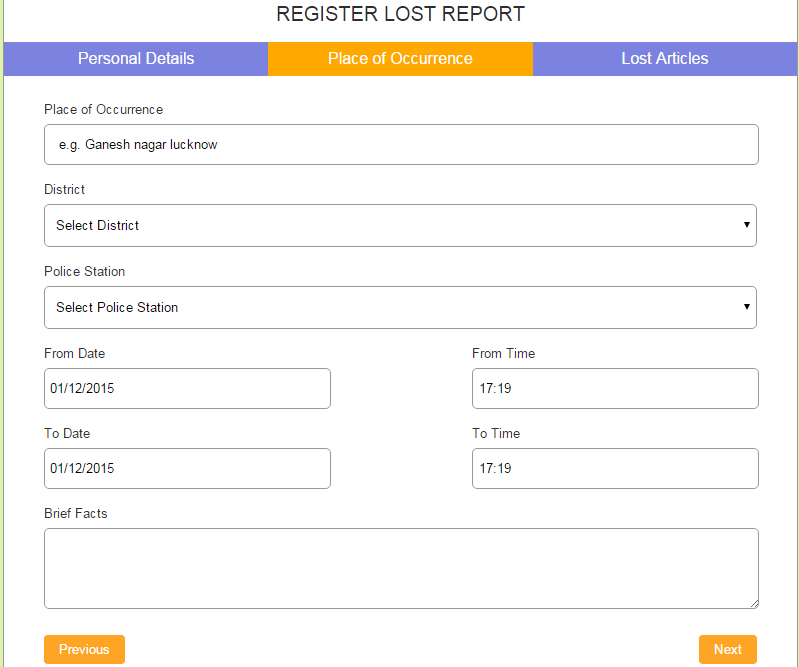 How to Register FIR Online in MP ? How to Block ATM Card in SBI ? What to do if your Passport is Lost or Stolen ? How to get a New Pan Card if lost or Misplaced ? What to do if your Wallet/Purse gets Stolen or Lost ? 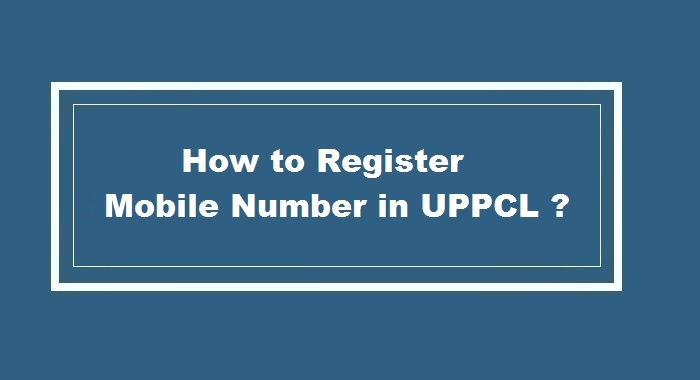 How to register Mobile Number in UPPCL ? My Telenor Sim Card acutaly lost in Dibulganj Area. on Date 11/6/17 So please consider my complain against misuse of my sim card . My name Is Pawan Sharma, Do Ladke Aaye Pichhe se or Mera Mobile Chhin ke bhag gye Ye Ghatna Meerut Mor Ghaziabad Ki jisme mera working no. 7210916373 hai.